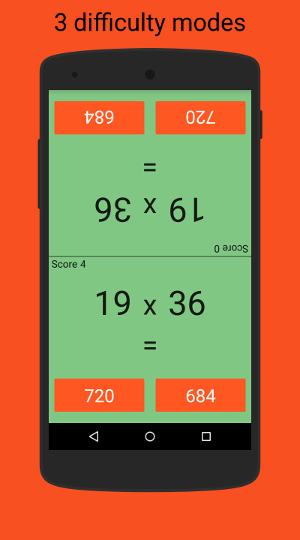 Math Contest – Mathematics Game is a mental calculation game for fun and improve your maths skills. 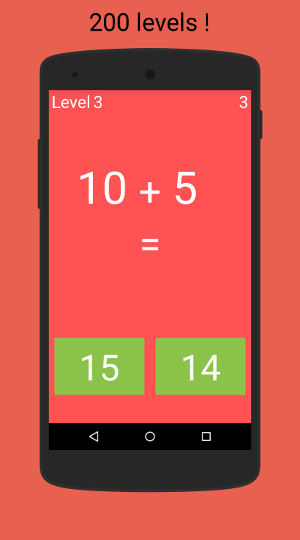 A single or 2 players math game to train your brain ! – 2 players mode available ! Who is the best in mathematics ? 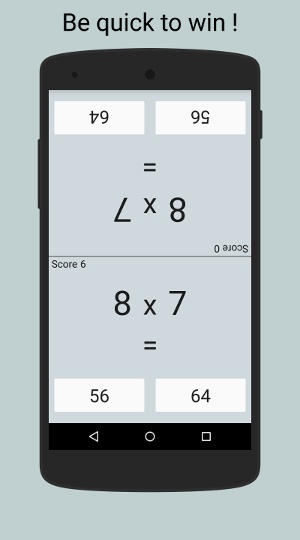 Challenge your friends with the 2 players mode ! 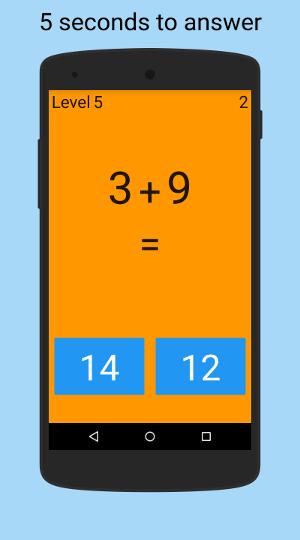 On the same device, play together with the split screen. 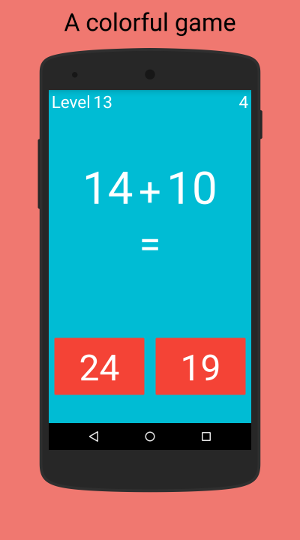 You can choose the number of calculations, the difficulty and type of operation (addition or multiplication). +1 point for a good answer. -2 points for a wrong answer. 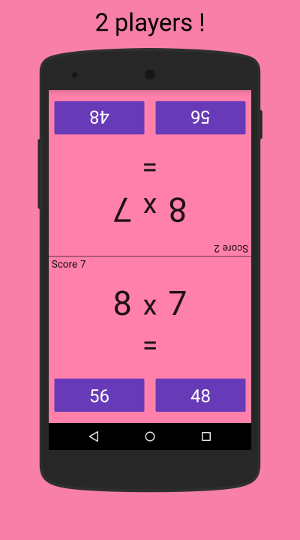 Try Math Contest – Mathematics Game to train yourself and improve your maths skills !